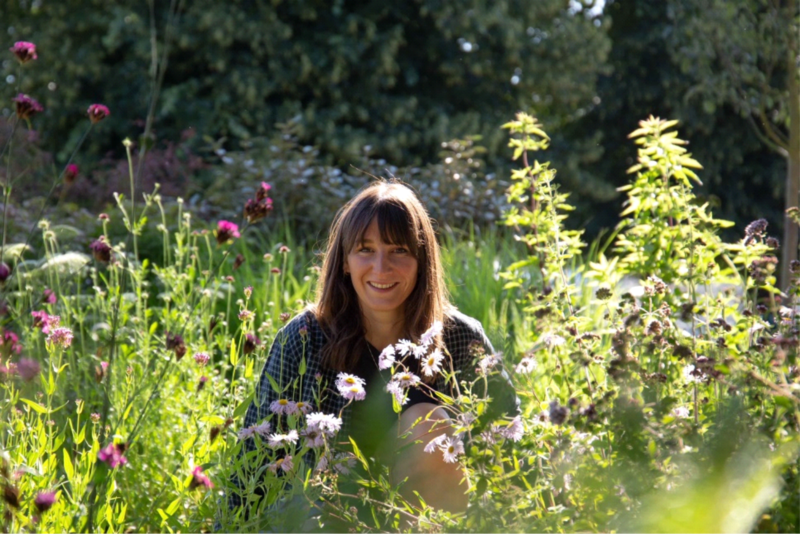 Lilly Gomm’s first ever RHS Chelsea Flower Show garden is no ordinary undertaking. The designer is tasked with designing the 2019 Hillier garden, helping the Hillier team to hopefully secure their 74th consecutive gold medal. Lilly’s love of gardening is a trait that is clearly in her blood. Her family has a history of gardening, both professionally and as hobbyists, that stretches back to her great-grandfather and further. With a degree in architecture from the University of Brighton, she quickly realised that her real love, one nurtured by her father, was gardening. “Architecture has given me a love and appreciation of shapes and composition but ever since I was a small child I have enjoyed gardening. I had my own patch in the family garden where I grew a random selection of flowers and vegetables together. Some of my father’s family were professional gardeners and it is something that has clearly stuck with me,” says Lilly. When her father died she lost her “gardening rock”. She was at university and it was gardening that helped her come to terms with the grief. “Initially, I did not realise how much I needed gardening in my life, until the person that maintained that passion had gone”. Lilly’s overriding objective with her design for ‘The Stihl Hillier Garden’ is to create a contemporary canvas against which the Hillier world-class planting is the focus. “It is all about the quality of the plants and trees and the actual planting,” she says. “The plants are the stars of the garden and I have created a backdrop with a palette of delicate, contemporary colours that allow them to stand out. This is where contemporary meets tradition. The water feature will encourage people to linger and look down to see the plants and then up to view the trees. “It is just the most tremendous honour to be given the opportunity to design for Hillier, particularly when you consider the company’s long and unbroken line of successes at 73 previous Chelsea shows,” she says.